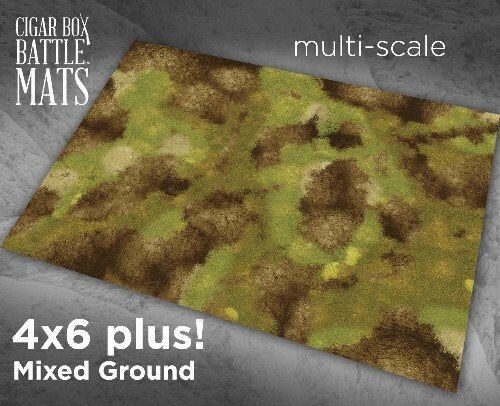 The Mixed Ground mat is a very versatile terrain mat! It is professionally illustrated and has a lot of "texture" to it that will make your figures, buildings and terrain really stand out! This is a great base mat to use for your games. You can use the mat "as is" or layer it with your own roads, tress, buildings and other pieces of terrain! • 2mm, 6mm, 10mm,15mm, 20mm and 28mm tabletop miniature wargaming!